Thank you for contacting Cardinal Roofing, a representative will contact you shortly. 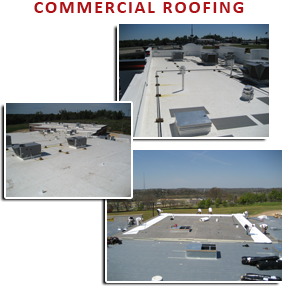 Cardinal Roofing, Inc. is a commercial roofing contractor based in Springfield, MO. We currently work in Missouri, Northern Arkansas, Southeast Kansas and Northern Oklahoma. We have a Custom and Architectural Sheet Metal Division that allows us to offer complete commercial metal roofing, composite panels and metal wall panel system services to our customers as well. We realize that knowing how to build a successful relationship with our clients is just as important as knowing how to build a quality roof. Our dedication to solving our customers roofing problems has been the key to our success serving our customers. We're proud to include O'Reilly Automotive, Red Lobster, Drury Inn & Suites, Logan-Rogersville Schools and several other school systems, various property management companies, retail centers and office complexes in our extensive list of long-term customers. Cardinal Roofing, Inc. is a "full service" roofing company that can handle essentially all your commercial roofing needs. We install several single-ply roofing systems and have an in house full service custom sheet metal, install roof coatings, and can maintain or repair any existing roofing system. All with the assurance that can solely come with years of experience. We have over 75 years combined experience in commercial roofing and architectural sheet metal. We believe a successful roofing system requires more than just good workmanship and design, we also believe it requires a good working relationship with the customer. Communication is the key to solving all your roofing problems and servicing all your roofing needs. We pride ourselves on long-term relationships with our customers, and work hard to ensure that every Customer is treated with respect and in the most professional manner. Cardinal Roofing, Inc. is 'Where Our People Make the Difference'.